It was about three years ago when our hearts were opened towards foster care. Nick and I had just started our own day care business and I was giving a tour to a future client when she told me that she worked with children in foster care, and explained a little bit about KidsPeace. That comment would stick in my head for years, and a deep-down desire to be a family for someone who needed one began to take hold. Three years later, I was at a child’s birthday party and we heard a story about a couple of local children who had been removed from their home. We knew nothing about them, not even their names, except that there were siblings out there in need of a family. That night, we both went to bed thinking and praying for those two little children. Over the next several days, we heard stories from different people about those two children. I knew there was something more to me hearing about the same children from so many people in our little community. I didn’t know if this would lead us to them, but I DID know that it was time to do something about this desire to open up our family and our home. We knew that the timing would never be “perfect.” As big dreamers, with kids and a business, life for us would never “slow down.” But together, as a family, we decided that when a phone call came, we wanted to be ready. During our very first foster care class we knew KidsPeace was the right place for us. We went home and told our friends and family and got them excited too. Everyone wanted to be a part of being a family for someone, even if just for a season. I stepped out of the room and asked Nick to take the call. I had anticipated each time the phone rang that our call could come … and then one came that had never crossed my mind. (There was a baby in need of a family …We were ready! … and medically fragile? Were we ready? Could I do that?) Nick took the call and came back in. We were ready, we are willing, we know how to bond and we can learn his needs. One year, countless doctors’ appointments, specialist visits, and several long hospital stays later… we are so blessed to be family to the sweetest little boy. In the midst of running our day care center, juggling our busy family, then expanding our family by two more (the two that we have been praying for, for over a year! ), we were given the strength that we needed, and the baby we met when he was alone in the hospital will never be alone again. We are now parents of six, yet we are closer to one another now more than ever before. Our biological children (our “Big Kids,” 6-year-old twins and a 7 year old) have blossomed. 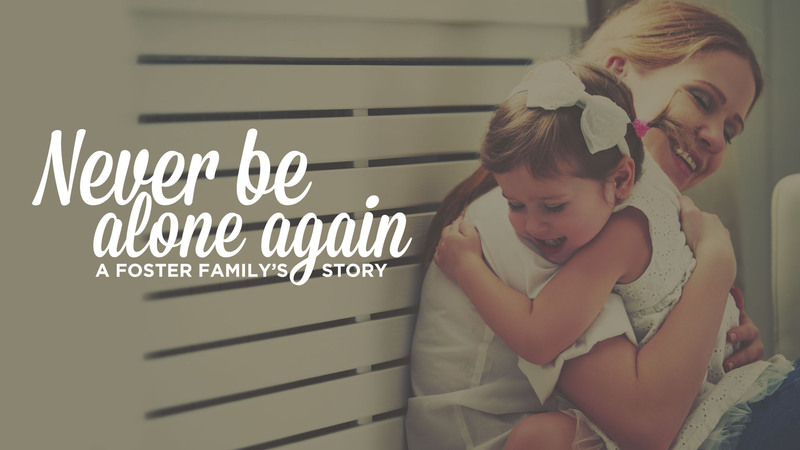 They love being big brothers and sisters to their 18-months-old, 20-months-old and 2-1/2 year old foster siblings. And our day care staff and parents are excited to be a part of our story too; many are considering becoming foster parents themselves. Our hands are full, but we believe that just like your heart … your hands can never be too full. We hope that those reading this story do not just think of it as a great story, but that they feel inspired for their own family. Your family could be the family that someone needs – all you have to do is be willing and take action.